What better way to experience the famous powder and terrain of the Niseko area and further afield with all that Hokkaido has to offer, than with an expert local guide? Mt. Niseko Annupuri offers 360 degrees of vast, open fields of perfect powder, tree runs, bowls, chutes and natural half pipes that continue on for kilometers. The four Niseko resorts offer access to the south east laying 180 degrees of this terrain via the Niseko United lift system, the remaining 180 degrees is accessible via the 9 gates that allow skiers and snowboarders into the back country areas of Niseko. The Niseko Rules are the area’s official regulations created for the safety and freedom of every skier and snowboarder riding inside or outside the ski resort boundaries. Please be aware that whilst the ski patrol assesses the avalanche danger each morning, and will open or close the gates accordingly, once outside the patrolled area you take responsibility for your own safety, we strongly recommend that you read the daily avalanche reports that are on display at gate entrances. We offer a full range of tours from being your shown your way around the Niseko United ski fields to full day hikes into the backcountry wilderness and everything in between. Orientation, Guiding and Backcountry Tours are run by Niseko Phography, Hokkaido Backcountry Club (HBC), Niseko Xtreme and Hanazono Powder Guides (HPG). With a long history of guiding in the Niseko area combined with expert photography skills and experience, Niseko Photography is a great choice for all skiers and snowboarders looking for the best snow and wanting some great action shots! 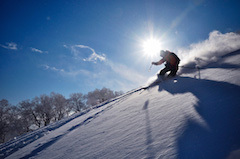 We have a variety of tours in Niseko, some other great resorts in the area and full backcountry tours. Multi-day tours give us the flexibility to go wherever is best, based on the weather and snow conditions. As a result, there’s a greater probability that we’ll be able to include expeditions like Mt Yotei. 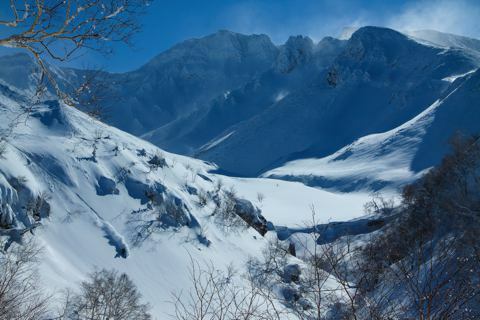 Guiding rates for multi day tours in the greater Niseko area are cheaper than the usual daily guiding rate. 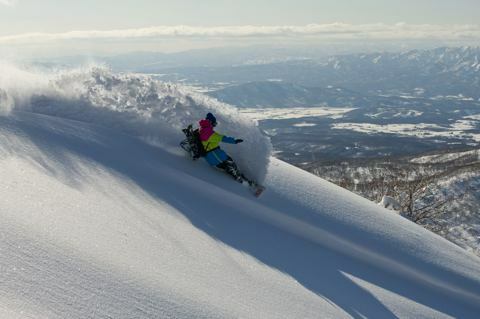 Hanazono Powder Guides (HPG) offers professional guiding into areas both within and beyond the boundaries of the Niseko Ski resort. With such an abundance of powder in Niseko, the need to hike to find untracked areas is minimal, HPG tours (unless otherwise requested) are based on lift access side country which offer minimum hike and maximum descent.